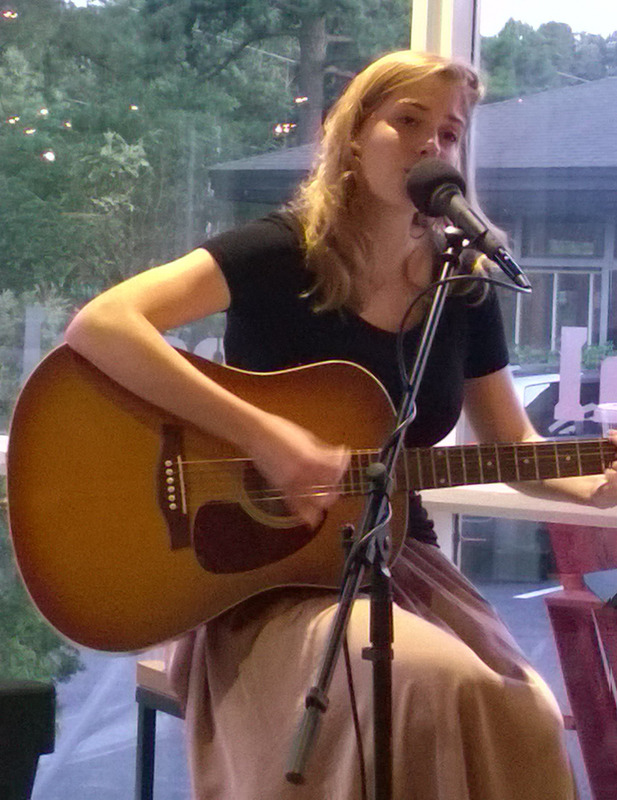 I spent a marvelous Friday evening at the ever delightful Sola Coffee Café wit listening to the dulcet tones of Janelle True. More about the evening is in Janelle True At Sola Coffee Cafe Presents A Lovely Evening of Music. This is the promised interview. With no further ado, here’s the interview. Her most recent album is available on Amazon, CDBaby, and iTunes. For a review of Painted Pianos, see Janelle True’s Painted Pianos Album is a Musical Treasure. Swept Away is also available on Amazon, CDBaby, and iTunes. Here’s a review of Swept Away. To keep up with Janelle, here’s her site: janelletrue.com.